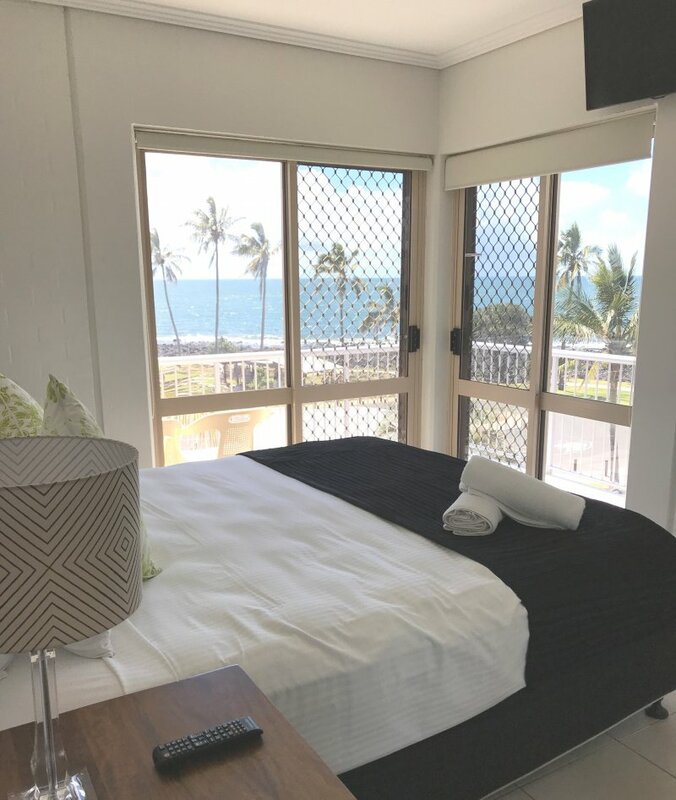 The 2 Bedroom Ocean Front Apartments all offer views from the Master Bedroom of the Ocean and direct beach access. 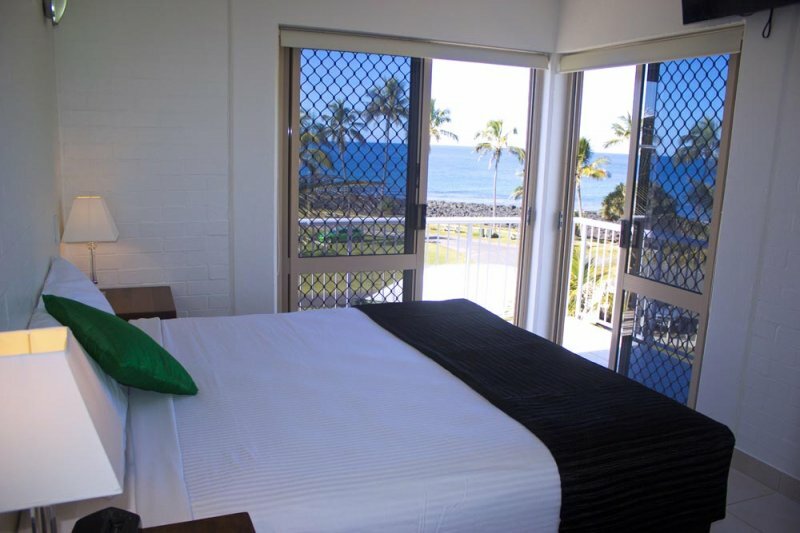 The second bedrooms also offer ocean views and are equipped with two singles beds. 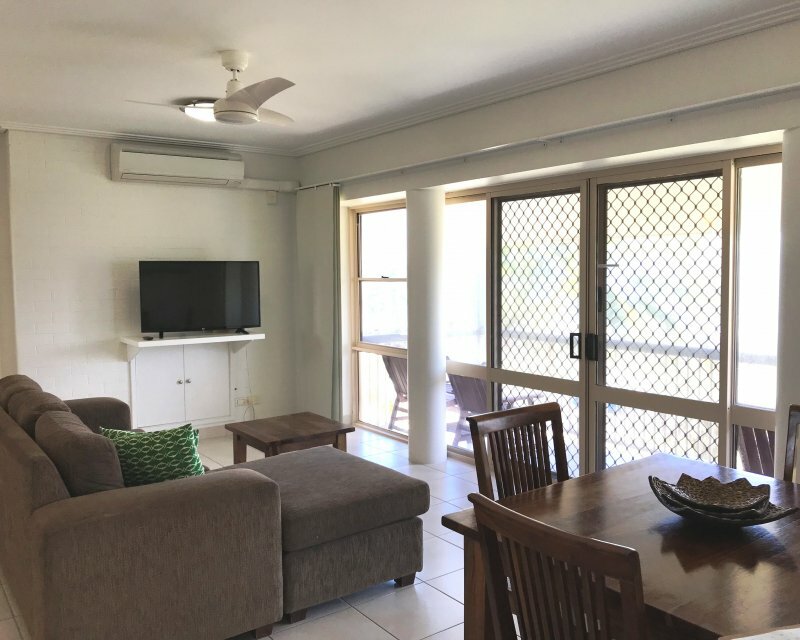 Fully self-contained and well-appointed for everything you need for a beach holiday. 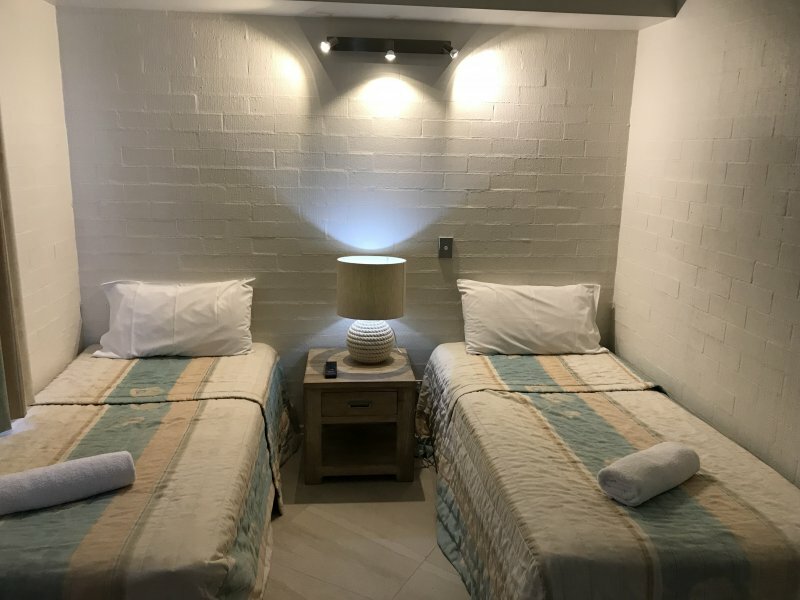 Ceiling fans throughout the apartment and air conditioned, Free WIFI and Free Cable Television. 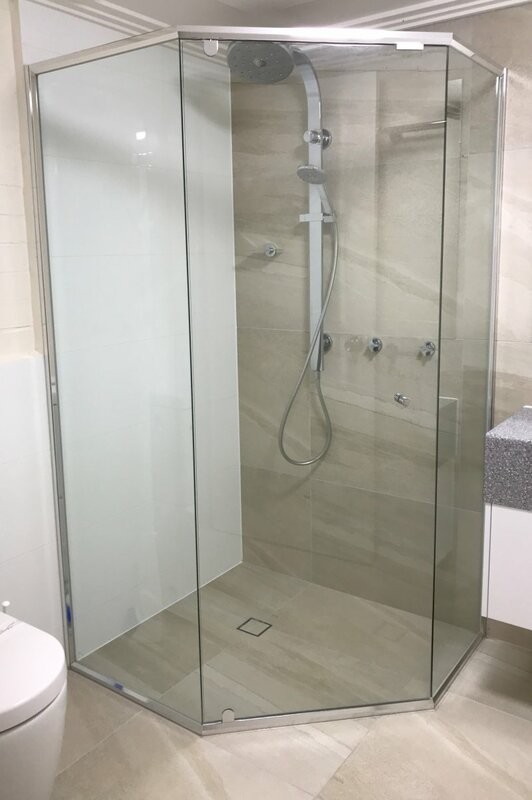 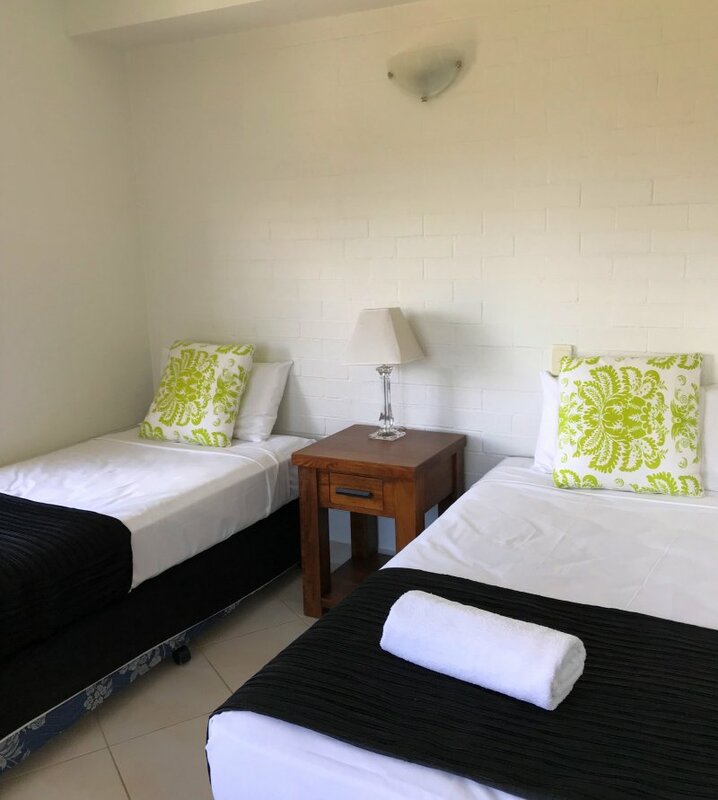 Offering and ensuite bathroom and a second bathroom each with a walk-in shower with hand held shower roses, fully equipped laundry with washing machines and dryers. 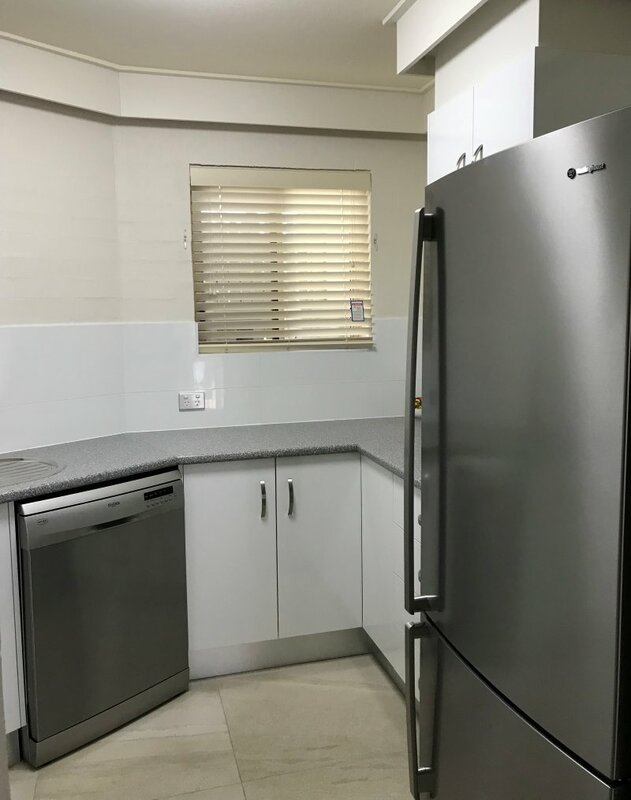 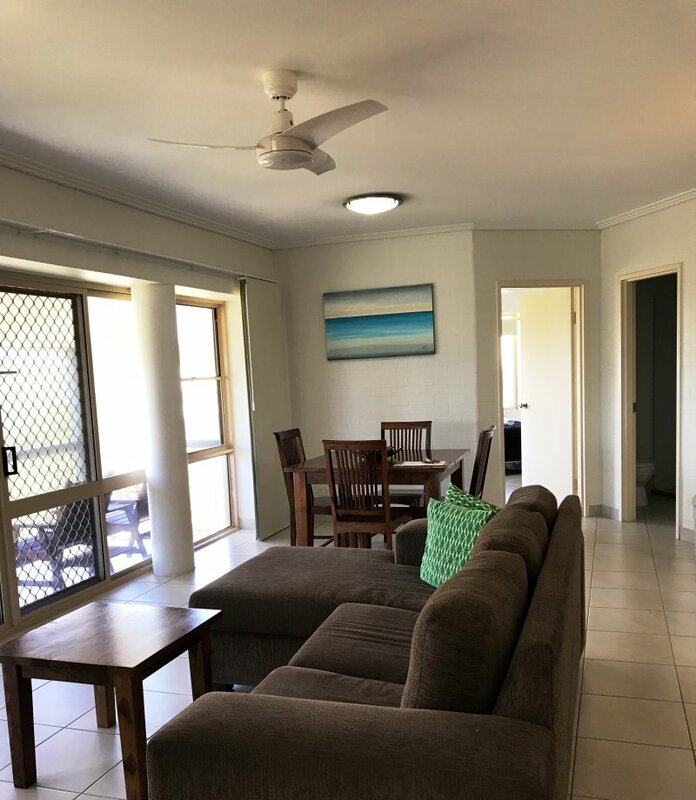 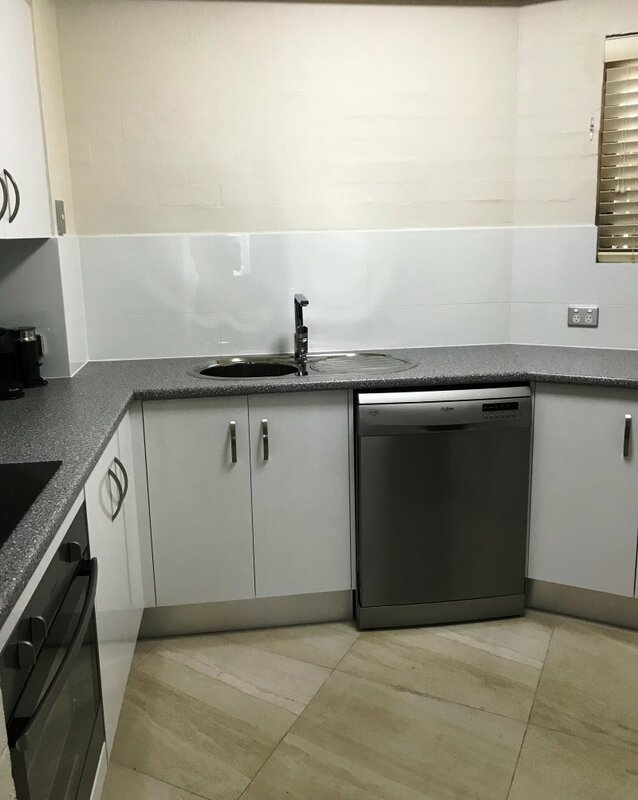 Located on either the Ground Floor, Second Floor or Top Floor with either a Private balcony or patio, each apartments has been tastefully designed to make a your Holiday to Bargara enjoyable!